(P1) In South London, there is a 200-year-old building. It is Brixton Flour Mill. It is the only working flour mill in London. For 200 years, it runs in the same way. (p2) Inside the mill, people turn grain into flour. They take the grain and put it in a machine. Inside the machine, two stones crush the grain. The grain turns into flour. It’s put into a bag. (P3) People want to build an educational center at the windmill. They need people’s help. Are there old buildings in your city? If so, describe one. Do you like to visit old buildings? Why or why not? Have you ever been to London? If yes, did you like it? If no, do you want to go there? Where is the windmill located? 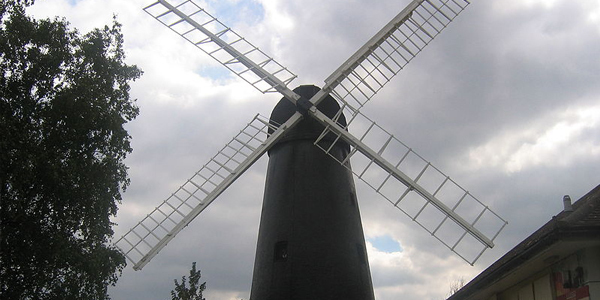 What is the name of the windmill? What are the people doing inside the windmill? What is the flour put into? What do people want to build at the windmill?